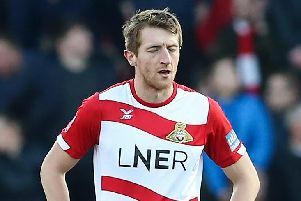 Grant McCann has labelled Tuesday's clash with Accrington Stanley as 'must win' for Doncaster Rovers after they were beaten at Sunderland. 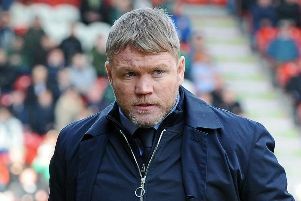 Grant McCann criticised his Doncaster Rovers side for playing 'too safe' in their defeat at Sunderland. 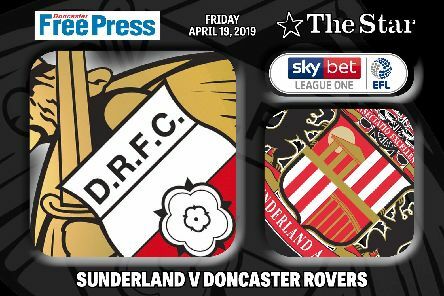 Doncaster Rovers could take another huge step towards securing a play-off spot in today’s televised clash at Sunderland (5.15pm). 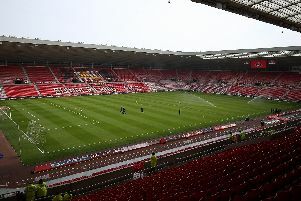 A ‘huge cloud of darkness’ is hovering above the Stadium of Light ahead of Doncaster Rovers’ first ever visit to Sunderland’s impressive home. 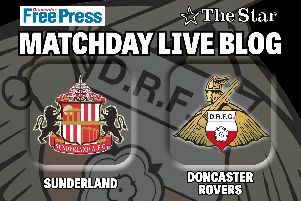 The stakes are high as Doncaster Rovers make their first ever trip to Sunderland’s Stadium of Light. 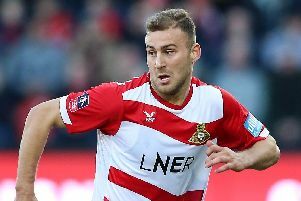 Loan star Herbie Kane has revealed he played through the pain barrier to try and keep Doncaster Rovers on course for the League One play-offs. 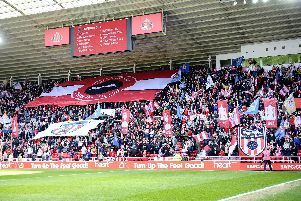 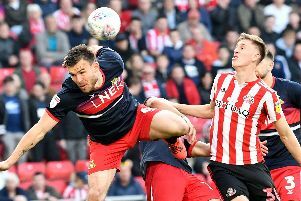 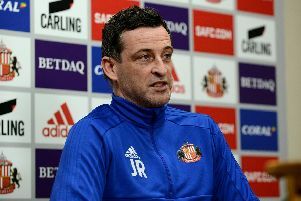 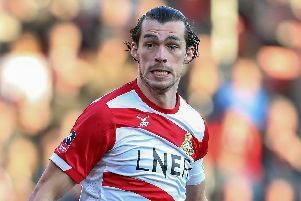 Is all the pressure on Sunderland when Doncaster Rovers visit Stadium of Light? 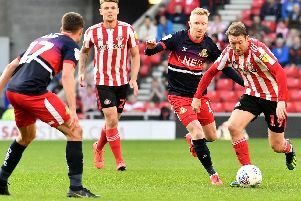 Doncaster Rovers boss Grant McCann is hoping his side could benefit from Sunderland’s ‘huge expectations’. 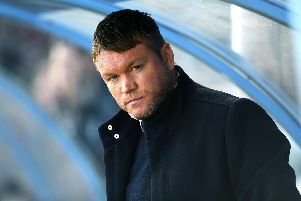 Grant McCann has urged Doncaster Rovers to remain focused on themselves over a potentially pivotal Easter weekend. 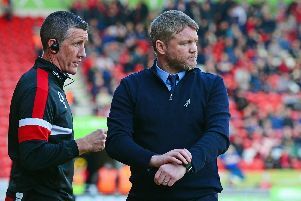 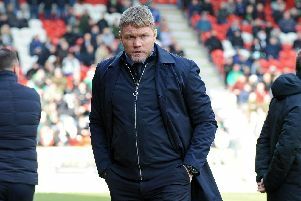 Grant McCann is not a manager for excuses but he may have a reason why Doncaster Rovers have not been at their best away from home in recent weeks. 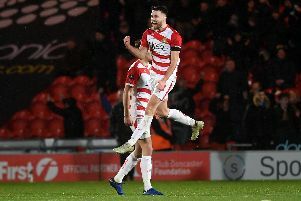 Doncaster Rovers have received a considerable selection boost ahead of the trip to automatic promotion chasing Sunderland on Good Friday. 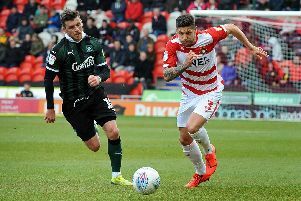 Tom Anderson and Ben Whiteman are doubtful for the trip to Sunderland on Good Friday. 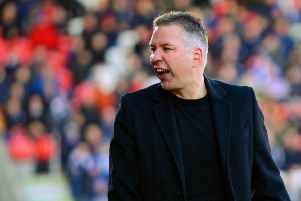 Darren Ferguson has warned former club Doncaster Rovers that Peterborough United ‘aren’t going away’ in the race for the play-offs. 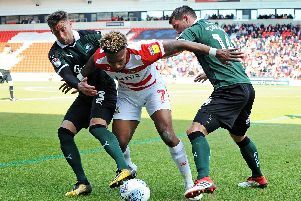 Grant McCann waxed lyrical about the competition for places at Doncaster Rovers after his reshuffled side beat Plymouth Argyle with relative ease. 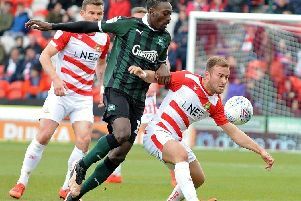 Doncaster Rovers secured a fourth consecutive victory as they beat Plymouth Argyle 2-0 at the Keepmoat. 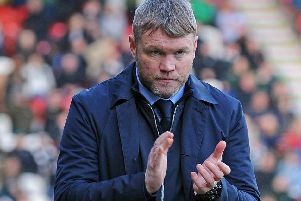 Grant McCann hailed his fast starting side as they scored another early goal at the Keepmoat on their way to a 2-0 win over Plymouth Argyle.